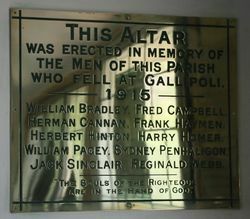 The altar of the church commemorates members of the Parish who died in service or were killed in action during the Gallipoli Campaign of 1915 during World War One. 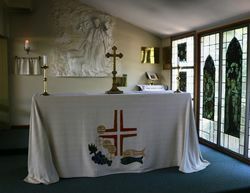 At the evening service in St. Andrew's Church of England, Indooroopilly, yesterday, the rector of the parish, Canon Jones, unveiled and dedicated to the service of Lord an altar that has been erected in the church to the memory of William Bradley, Fred Campbell, Herman Cannon, Frank Haymen, Herbert Hinton, Harry Homer, William Pacey, Sydney Penhaligon, Jack Sinclair, and Reginald Webb, all of whom fell in action at Gallipoli. All, or nearly all, of the deceased soldiers were members of the 9th Battalion, and the regimental colors of that battalion were displayed in the church. 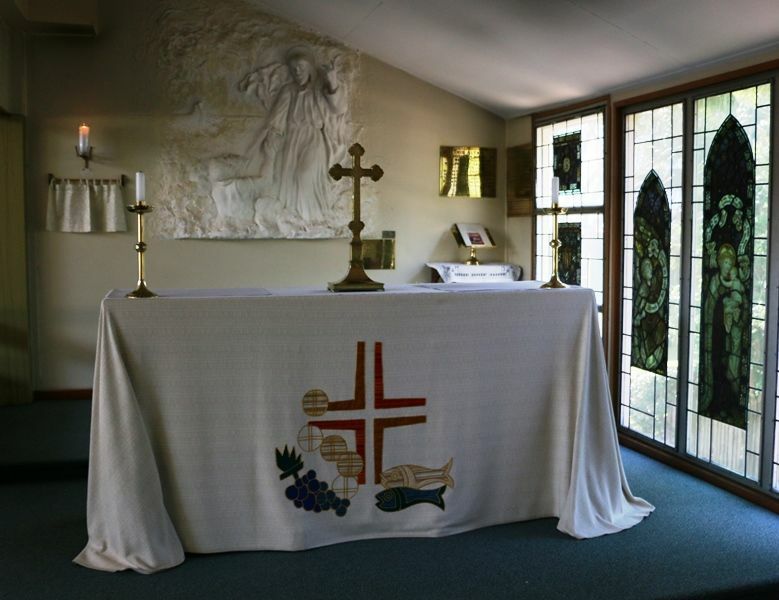 The altar is of silky oak, and was built by Mr. R. L. Gordon, Charlotte-street, Brisbane. The devotional part of the service was conducted by Canon Jones, assisted by the curate, the Rev. J. Hunt, and the preacher was Archdeacon Rivers, of Toowoomba. Archdeacon Rivers preached a well-considered sermon, basing his remarks on the words, "God left not himself without witnesses." In the course of his sermon, he said some young men had gone from the parish to help the Empire in her need. They went away happy and cheerful; they saw the bright side of life, and he had no doubt they wrote about it. But they were prepared to make the complete sacrifice if it we're called for, and some, alas, had made that sacrifice. "But shall we regret it?" he asked. "I think not," he said, "not altogether, because what they have done, if they have done nothing else, has inspired the whole country with the spirit of service in the spirit of Christ." If any people had helped to lay a strong foundation in this nation which is to be, it was these young men who had laid down their lives in Gallipoli, as well as the young men who had fallen in Egypt and in France. They had built upon the surest rock, the rock which was Christ Jesus. They were witnesses in the human life. They spoke to them of the power of God and of tho love of God. There was a large congregation. Daily Mail (Brisbane), 22 January 1917. Are In The Hand Of God."